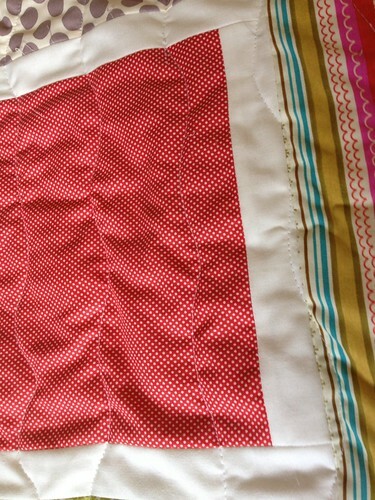 I also quilted my Colorblock quilt that I tested for Bijou Lovely. This was the first time I have done organic wavy lines. Some are not as smooth as I wish but hey, practice makes perfect. Will be making the binding for this one tomorrow. I love sewing down binding by hand, too! 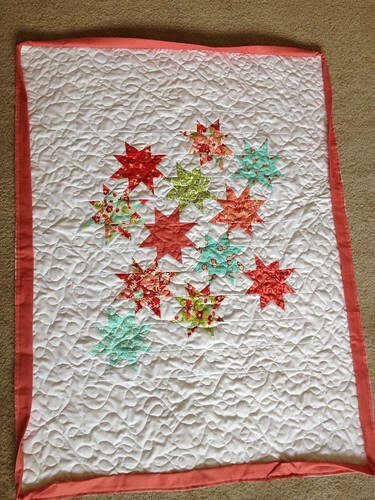 :) Your sparkle punch baby quilt is super cute! The hand stitching on the binding is my favorite part, too. I really love this pattern and I have never tried the organic waves pattern for the FMQ. Can't wait to give it a shot! Thanks for sharing. Beautiful!! This is just gorgeous! I love your FMQ work and the colors you selected for both quilts. Really beautiful! Very cool and looking good! I love to bind! Your quilting is beautiful. 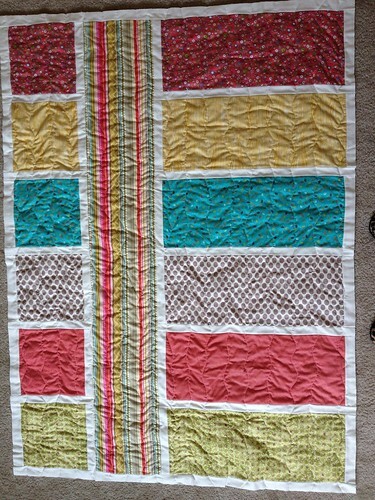 I love the look of other quilter's FMQ but haven't quite got it down yet. I do my bindings by hand too. I like to sit and watch a movie and stitch! I', just starting a sparkle punch pillow, I"ve finally given in! 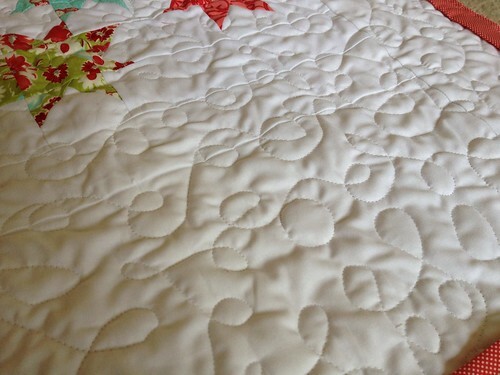 Quilted in two hours! You must have had your foot to the floor.